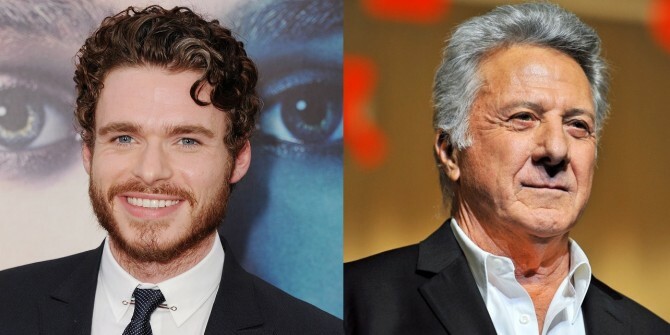 After taking on a leading role in Kenneth Branagh’s Cinderella, Game of Thrones alum Richard Madden is set to return to the small screen in eight-part drama series, Medici: Masters Of Florence. From Frank Spotnitz’s Big Light Productions (The Man In The High Castle) and Lux Vide (Joseph), the show will chronicle the rise of the Medici family and the Italian Renaissance. Joining Madden in a leading role will be Oscar winner Dustin Hoffman. Medici was co-created by Spotnitz and Nicholas Meyer, while Sergio Mimica-Gezzan (The Pillars of the Earth) is set to direct all eight episodes. Principal photography begins in Italy this month, with shooting taking place in many of the same historical locations as where the real events of this story took place. The series already has a network for when it will air in Italy, and it’s expected that a US based one will pick it up at some point in the next few weeks. According to the official description, “Medici dramatizes the story of the family’s ascent from simple merchants to power brokers who sparked an economic and cultural revolution, in the process creating a long list of powerful enemies.” Madden will play the lead, enterprising son Cosimo de’ Medici, and Hoffman is family patriarch Giovanni de’ Medici. Tell us, does this new Medici series interest you at all? Let us know in the comments section below.